If you can't view the video above please contact your network administrator. In a remote corner of the world a fisherman carries on a long family tradition. The great Southern Ocean known to Ngāi Tahu as Te Moana-tāpokopoko-a-Tāwhaki, between New Zealand and the Antarctic has been a source of food for Jack Topi's family for countless generations. His ancestor, Topi Patuki, was a distinguished rakatira (traditional tribal chief) and national political figure of the late 19th century. The ancient whānau (family) home is Ruapuke, a remote island off the southern tip of New Zealand's mainland. Over a hundred years later Jack is following in the steps of his forebears in fishing the same waters of Rakiura and Te Ara a Kiwa (Stewart Island and Foveaux Strait). His brother Tristan is also fishing for a living. "It was inevitable that we were going to be fishermen. Once it's in your blood it's hard to get it out. There's probably not too many people that can say they love their job. But I do, that's for sure." Jack is part of the extended family of Ngāi Tahu, a tribal group that occupied New Zealand's South Island - Te Waipounamu, since the early 17th century. Jack's father Colin and his father before him have lived off the sea all their lives. While there is an abundant variety of seafood in the waters they fish, lobster is a prized catch that has always been highly valued. 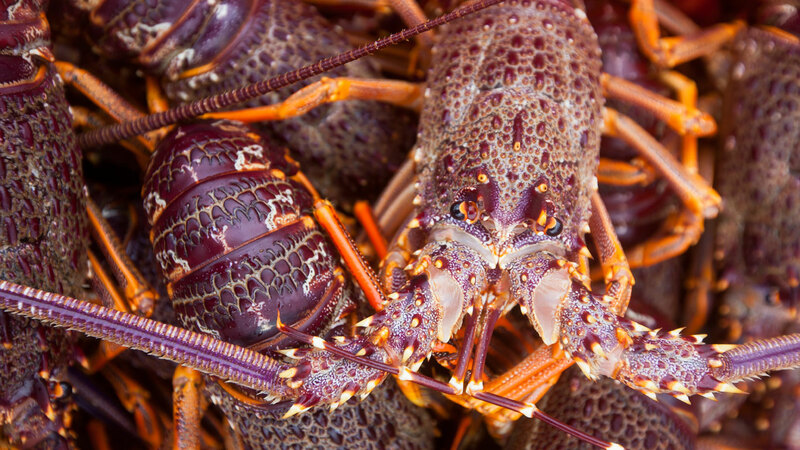 Lobster (Jasus edwardsii) has been a source of food for as long as Ngāi Tahu have lived in Te Waipounamu and is regarded as a delicacy. In traditional gatherings and special occasions it is often the centerpiece of the meal. This is especially true when hosting manuhiri (visitors). It has always been a matter of pride and tradition for Ngāi Tahu to offer the best food possible to their guests. This tradition continues into the 21st century with Ngāi Tahu Seafood gaining a reputation for excellence in the quality of the seafood it provides to its customers overseas. This reputation for quality is built on the skill of Ngāi Tahu fishers like Jack and the pristine environment the fish are caught in. Off New Zealand's south-west coast, snow-capped mountains and rugged coastline give way to fiords and ocean that are undisturbed by human habitation. Lobsters live in underwater rock contours along this coastline in waters 20 to 30 metres deep. They are captured live in this environment and handled with care to ensure they arrive in good health in markets around the world. While there is an abundance of lobster, the harvesting of this delicacy is carefully managed so it isn't exhausted and the species continues to thrive in the future. Fishers like Jack are limited in the amount they can catch each season. Fish that are too small or carrying eggs are returned to the ocean. This ensures kōura will be available for generations to come. The fishing methods Jack uses are different from his ancestors. Those who enjoy the fish are from further away. But the intention hasn't changed over generations – to catch the best quality kaimoana (seafood) to put in front of other families who enjoy this delicacy of the sea.